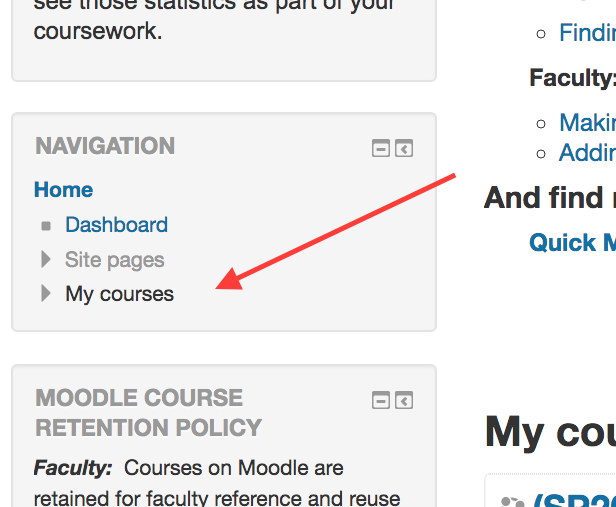 Once you login to Moodle, your course(s) should appear in the center column of the page under My courses. For students only the current semester's courses are typically visible; for faculty you will see the current/active semester's courses first. You can also find your courses under the left column Navigation block, by semesters, or in your Dashboard where your full list of courses will be displayed in the center column as your "Course Overview". Instructors may see some courses in blue text, meaning they are currently visible to students, and some courses in gray text, indicating they are not currently visible to students. Here is how to make your course visible to students. Students, if you do not see a course site for one of your current courses, please contact your professor. 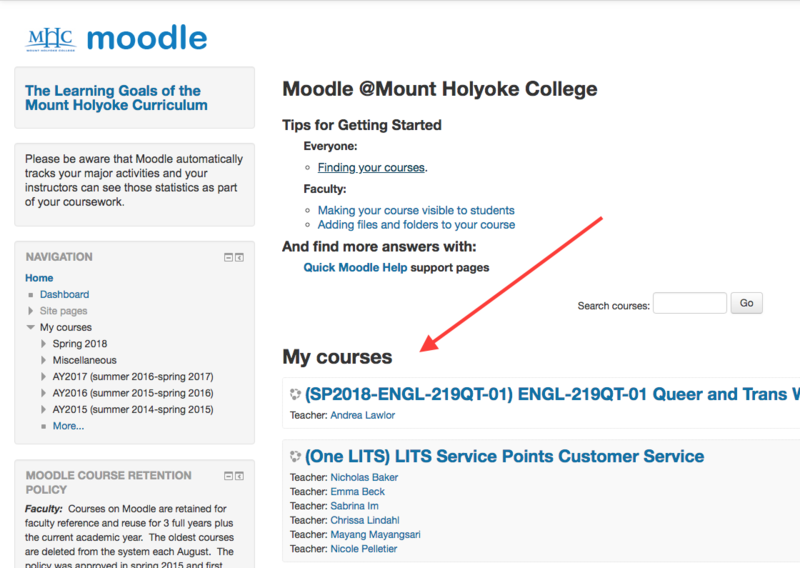 It is possible that Moodle is not being used for your course. Need more help? Instructors, not seeing a course for one of your classes? Please contact your LITS Liaison.